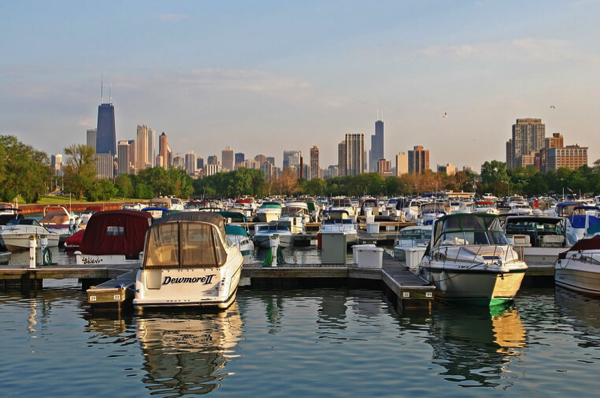 Lakeview is one Chicago’s most recognizable neighborhoods, regardless of location. Home to the famed Wrigley Field, located along Chicago’s stunning lakefront, and offering a tight-knit community feel that’s hard to top anywhere else in the city, potential home buyers considering a move here will love what this lively north side neighborhood has to offer on many different levels. Lakeview’s boundaries encompasses a fairly large area that’s bounded by Lake Michigan to the east, Ravenswood Avenue to the west, Diversey Parkway to the south, and Irving Park Road to the north. Within these boundaries are also a number of very popular sub-neighborhoods, including Wrigleyville, East Lakeview, and West Lakeview, not to mention a number of lively commercial and shopping districts like thr Southport Corridor, Broadway Street, and the Boys Town Stretch along Halsted between Belmont and Addison. 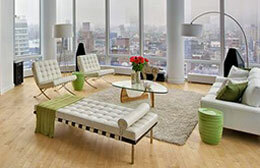 Thinking of Selling Your Lakeview Home or Condo? If you're looking to sell your Lakeview home or condo in today's ultra-competitive market, contact Gold Coast Realty to learn more about how we can get your property sold fast, and for the price you need! Already have a good idea of what you're looking for in Chicago’s friendly Lakeview neighborhood? Narrow down your options and only browse exactly what it is you want! And if you don't see what you're looking for below, let us know and we'll set you up on a custom search that sends MLS listings that meet your search criteria straight to your inbox. Like in nearby Lincoln Park, real estate for sale in Lakeview is quite diverse, featuring anything from vintage condos and lofts to oversized single-family homes with lavish interior and ample living space. If it is a single-family home you’re after, Wrigleyville, the Southport Corridor, and just about anywhere on the neighborhood’s west side is where you’ll find not only a great selection, but plenty of inventory that’s sure to include something that fits all your needs and wants. Along the lakefront is where a number of high-rise condo buildings are situated, so if you’re looking for a place that has a great view at a slightly more affordable purchase price, Lakeview might be a great place to begin your search. Or, if it’s a newer construction condo unit inside a three-flat or a smaller development, you’ll quickly find that just about anywhere in the Lakeview neighborhood is loaded with condos of all shapes and sizes. Aside from all the fabulous Lakeview real estate possibilities, however, the area’s easy accessibility is undoubtedly one of its best attributes. Lake Shore Drive quickly connect motorists to the downtown part of the city, or for anyone who prefers public transportation, the CTA Red Line and a number of major bus lines make it easy for home owners in Lakeview to get to and from just about any other part of the city. For more information about Lakeview real estate for sale in Chicago, contact one of our professional and experienced real estate agents at Gold Coast Realty today at (312) 280-9600!